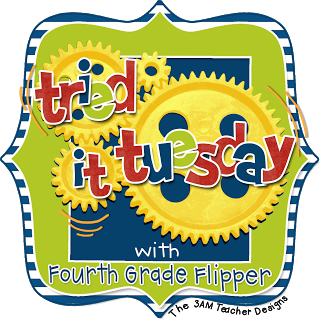 I am linking up for Tried it Tuesday with the Fourth Grade Flipper. This even worked for a bit. I still had kids fighting over their books, I need a tissue. I need to use the bathroom but they kept going. I can't hear but they kept going. 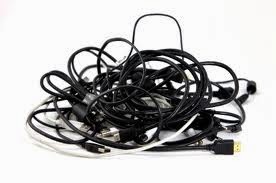 Stop stepping on my cord. 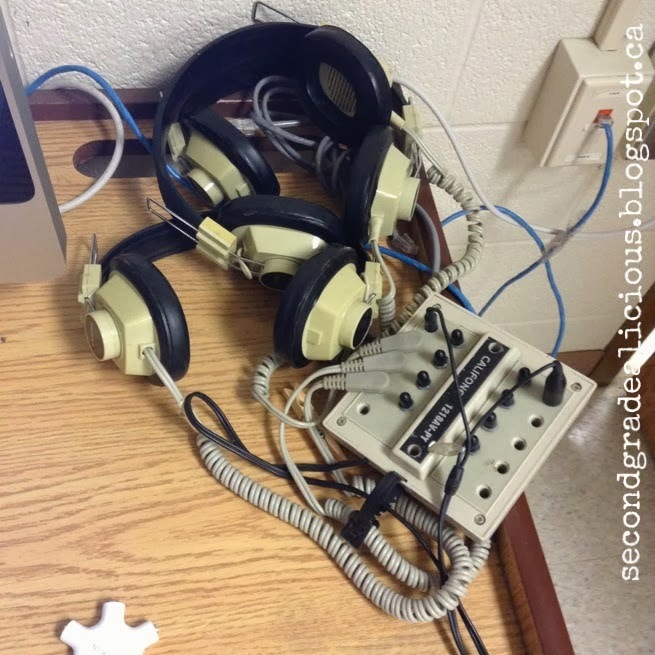 HEY you walked away with your headphones on and yanked the entire table down. I was about to jump out a window. So now on top of all the complaining, I am fixing knots. I can't take it. This is what it always looks like! After fixing this time and time again, I also thought of my poor books. I have six copies of each book and the audio cd. My books were all new when I got them and now are falling apart at the seams. Then I had a clear moment of genius. I emailed my parents. I let them know I was looking for ipods that were used or iphones that no one needed anymore. As luck would have it - I had FOUR parents send in ipods. Three were new and 1 was a used one. I did a happy dance right there! 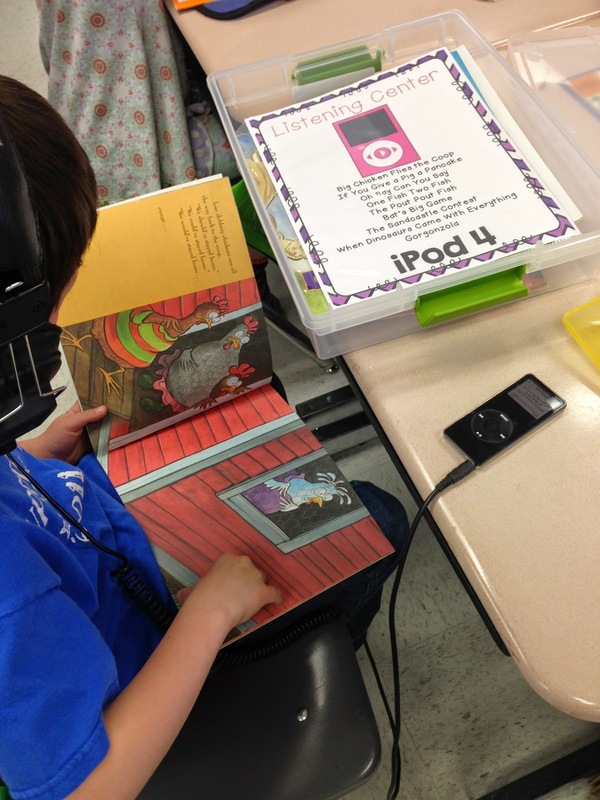 I uploaded all my audio cds from scholastic on to each of the ipods. There are 8 different stories on each one. I don't need to swap these four out for at least four - five weeks. 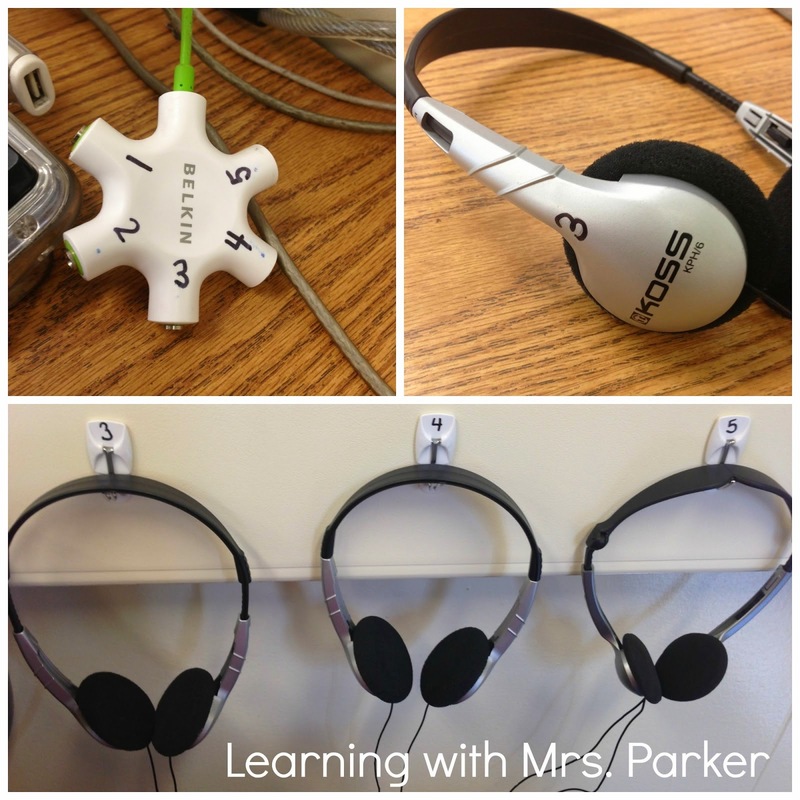 I started looking on the internet and apparently lots of people use ipods in the classroom. just look at Lucky to Be in First! Or you can look here at Skilled in Second. First, I made my play lists! Each of my ipods has at least 8 stories for now. I will swap them in about 4 weeks. 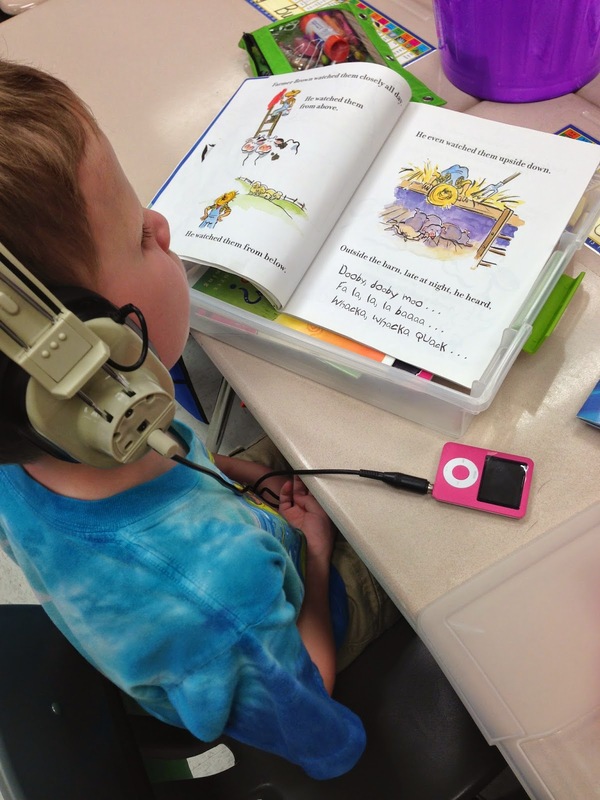 Since each ipod has 8 different stories, those kids can visit a different ipod each time! Whoot! 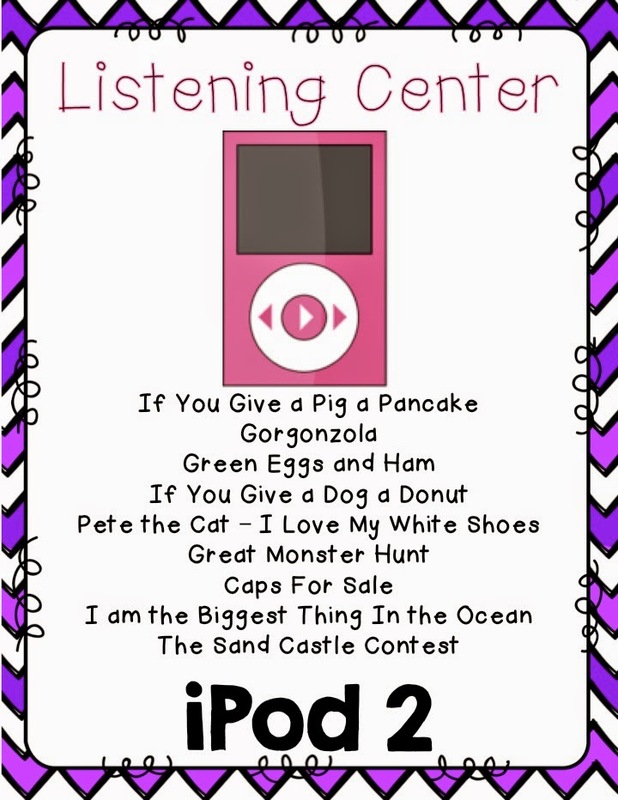 Here was my first day with the ipods in motion. If you look carefully, I have them stored in a soap container to keep them safe since I don't have cases for any of them. Dummy move I know. This friend was so excited! If you look under the book, there is a sterlite clip box that I have all the books and directions in. They just grab a box and take it somewhere. 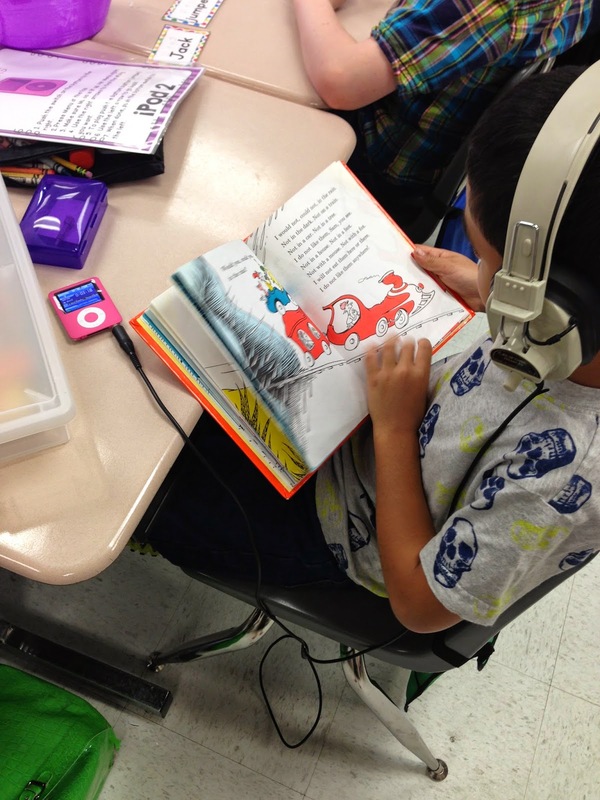 While it is in testing phase, they must go to their seat so I know the ipods don't get stomped. Once I trust them more, we will see about other areas in the room. These sweet girls enjoyed just sharing between the two of them. Love it. I will update with a few more pictures tomorrow and edit my post!! While you are here, I also tried something new today as well. 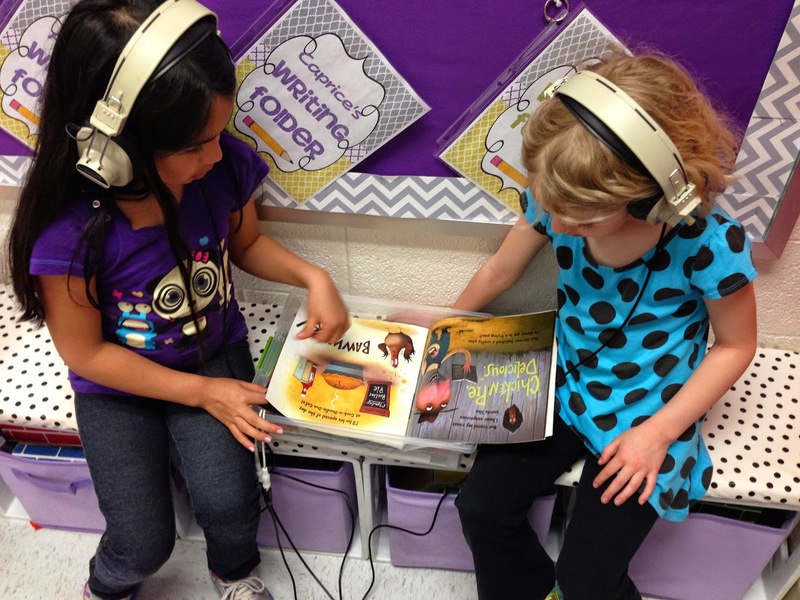 We had reading buddies talking buddies again. I can't stand that they can't read with their buddies without talking. honestly, I swear it is the fourth graders that talk the most!!! Anyway as I was sitting there thinking are they even reading this scholastic magazine that their parents buy- I thought why not make them do my READ, LOCATE, HIGHLIGHT with them. Thus my latest product has been created. 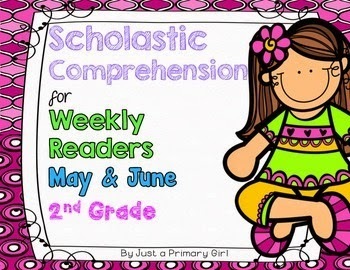 This pack is for second grade and covers the four magazines for May and June. 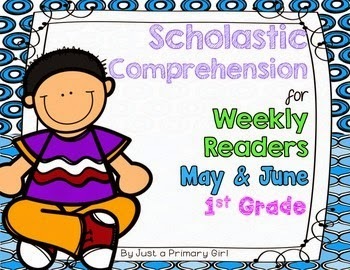 They go with the scholastic weekly readers. The stories are not included. This is just a comprehension resource that is four pages, but really gets students thinking and looking back at what they read for answers. This pack is my first grade scholastic. 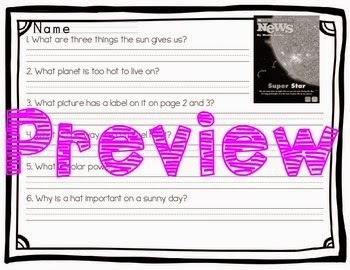 It is exactly the same as the second grade version only covering the magazines covered for May and June in the FIRST grade. I hope you will leave me some feedback and follow my TPT store for freebies and more awesome ideas. 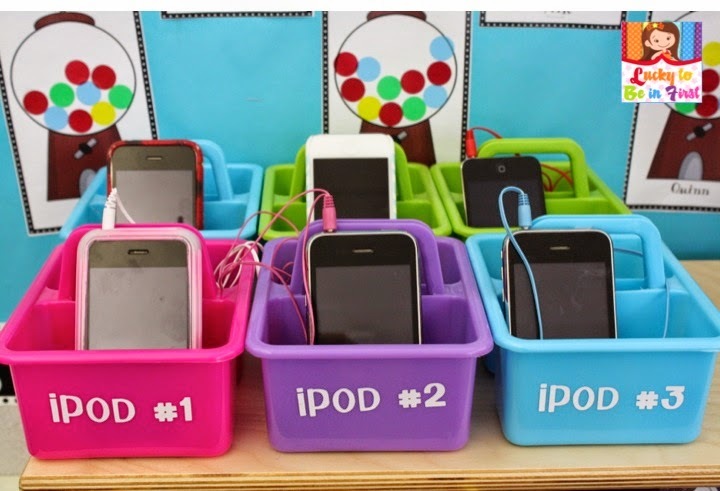 What a great idea to store the books and the ipods in separate containers. 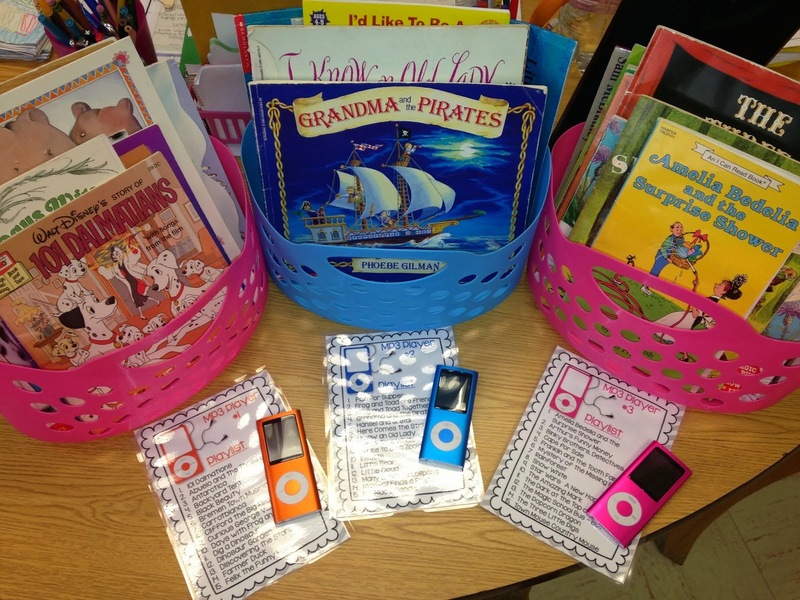 I have tons of books on CD that I don't ever drag out, but I bet you my big kids would enjoy listening to them if they were on ipods. I know they secretly still like picture books!